You Order Direct. We Ship Direct. 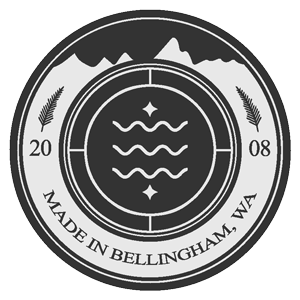 Our customers can order directly from our manufacturing facility in Bellingham, WA. Because many of our products can be customized to fit a wide range of applications and requirements, we take the time to learn about your specific needs. If you know the product you want, go to the product page and click on the “Order” button under the product description. If you need help choosing a product for your application, click on the “Get Help” button below and complete the form. Complete this form and we'll help you find the best solution for your application. Select the desired DC generator fuel type. Select the nominal voltage that applies to your battery system. What is the total capacity of your batteries? As represented in amp-hours (Ah). Select any of the following conditions that may be of concern for your application. Select any of the optional features required for your application. Would you like us to include the cost for shipping in your quote? We have received the quote request you just submitted. You should also receive an email confirming this. A Representative will respond to you shortly and may request additional information if required. Once we have received your information we will prepare and send you a quote. After you have reviewed the quote and would like to complete your order, you can then choose to pay through our secure online payment platform or arrange a secure fund transfer through your bank. If you prefer to speak to one of our Representatives, please use the contact information provided at the bottom of the page.